The Kremlin has said it still hopes for dialogue with Washington despite US-led strikes on Moscow's ally Syria last week. "We hope that, when our American colleagues solve their internal issues, some kind of communication will begin despite all the damage to (our) bilateral relations currently imposed by Washington," Kremlin spokesman Dmitry Peskov said. 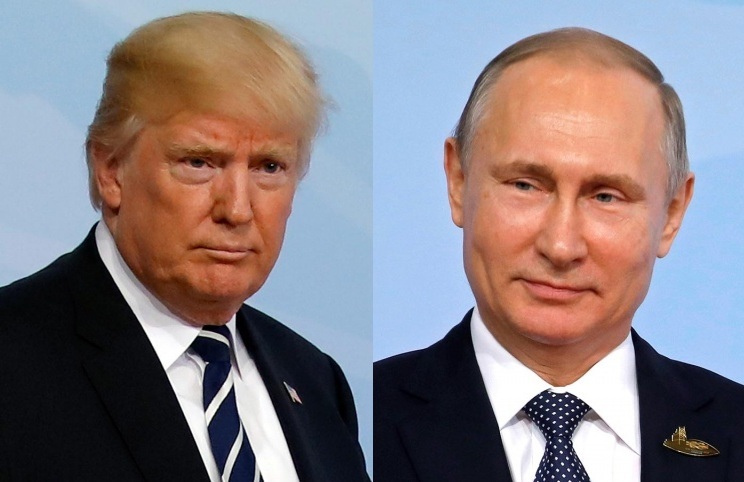 He added that there are no current discussions between the two countries on a possible summit between US President Donald Trump and his Russian counterpart Vladimir Putin. The United States, Britain and France carried out attacks at the weekend on alleged chemical weapons facilities, in response to what they say was a toxic gas attack by the Russia-backed Assad regime a week before. Moscow has said the US-led action was aimed at overthrowing Assad and keeping Russia's influence in check. The Western strikes have led to tensions between Washington and Moscow unseen since the Cold War. Vladimir Putin denounced them as "an act of aggression against a sovereign state which is at the forefront of the fight against terrorism". Russia on Saturday failed to win UN backing for a condemnation of the Western strikes.